How We Test Compact Cameras - Which? Discover how we test compact cameras to find the best models that take great pictures and videos. Only top-class models earn our Best Buy award. 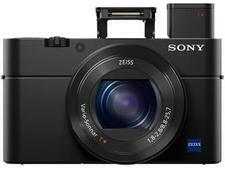 Watch the video above to find out what it takes for a compact camera to earn our coveted Which? Best Buy recommendation, and a how a Best Buy could make a real difference to your photos. Which? puts digital cameras to the test, so we can tell you exactly what you need to know when you're buying a new one. We'll help you avoid poor image quality, cameras that are a nightmare to use, or loads of unnecessary features you'll never need. Can I see what I need to in the monitor or viewfinder? Will its features help me take better photos? What is the video quality like, and what about the sound? How powerful is the built-in flash? Head straight to our compact camera reviews to find out which cameras provide the best-quality photos. Our most important tests check the camera’s image quality. We shoot photos across a range of conditions, including indoors, bright outdoor conditions and low light. We try the camera with different settings, including wide-angle and telephoto zoom-lens settings, and we measure resolution and look for potential problems using a test chart. All these tests help us find those cameras that will produce accurate, well-balanced, properly exposed photos in the full range of situations, so that our Best Buy cameras deliver good results in sunlight or low light, indoors or outside. Nobody wants to feel held back by their camera, so we test to see how easy each camera is to use. We start by looking at how you’d use the camera for the first time, including how intuitive it is to use the basic controls, and insert a memory card and battery. We look at how easy it is to access the scene modes or major features. We test any zoom controls to see how precise and responsive they are, and do the same for the shutter release. We want to know whether you can always tell that you’ve got your subject in focus before taking a photo. We even time the delay between taking successive shots, the time the camera takes to start and the delay between pressing the shutter release button and the photo being taken. This thorough process uncovers any hidden hiccups. The quality of the viewfinder or built-in screen is crucial when you’re trying to compose or review your photos, especially when you’re trying to focus on a specific subject. We check that you can see enough detail to pick out whatever it is you’re trying to capture in your photo. If the camera has a monitor rather than a viewfinder, it also needs to be usable when you’re shooting outdoors, so we assess the quality and reflectiveness of the screen in both bright sunlight and poor light conditions, from a range of angles, to ensure that you can see what you’re snapping, no matter when or where. We don’t take the manufacturer’s word for it about advanced features. We test face-detection features to see whether they will actually help you take well-exposed and focused portrait shots. We also test image stabilisation, putting the camera on a vibrating platform and running the same test 900 times to see how the camera copes with the shakiest of hands. In addition, we try continuous shooting or burst modes to see how many photos the camera can take in one burst. 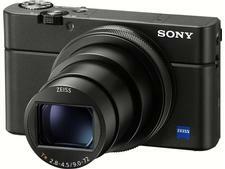 Digital cameras now double as camcorders, making video quality all the more important. We set each digital camera to record two different scenes featuring people with bright clothes and objects with fine detail, so we can see how sharp and detailed the footage is. We also check how the camera handles fast movement, and how the picture holds up when you pan across the scene, where jerks or glitches are most likely to show up. We also rate the audio quality from the built-in microphone, listening carefully to see whether the soundtrack picks up noise from the zoom lens or the camera’s other mechanics. How powerful is the flash? Where a camera has a built-in flash, we test it to find out how well it adjusts its brightness to match different scenes. Will close-up portraits result in faces that are too bright and shiny? We’ll let you know. We also take a photograph at different distances, from close up to several metres away, to see how the flash behaves at different ranges, including measuring its strength, how well the light is distributed and whether any unwanted reflections creep into the shot. Which? tests approximately 60 digital cameras a year and puts each model through a series of meticulous tests. These are designed to be both rigorous and repeatable, so you can trust in the quality of your next camera. 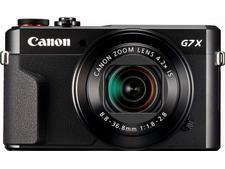 A camera needs to score 74% or above in our tests to earn a Best Buy recommendation. Models that score 45% or less are labelled a Don’t Buy as a warning to avoid them.